This is going to be my first build. 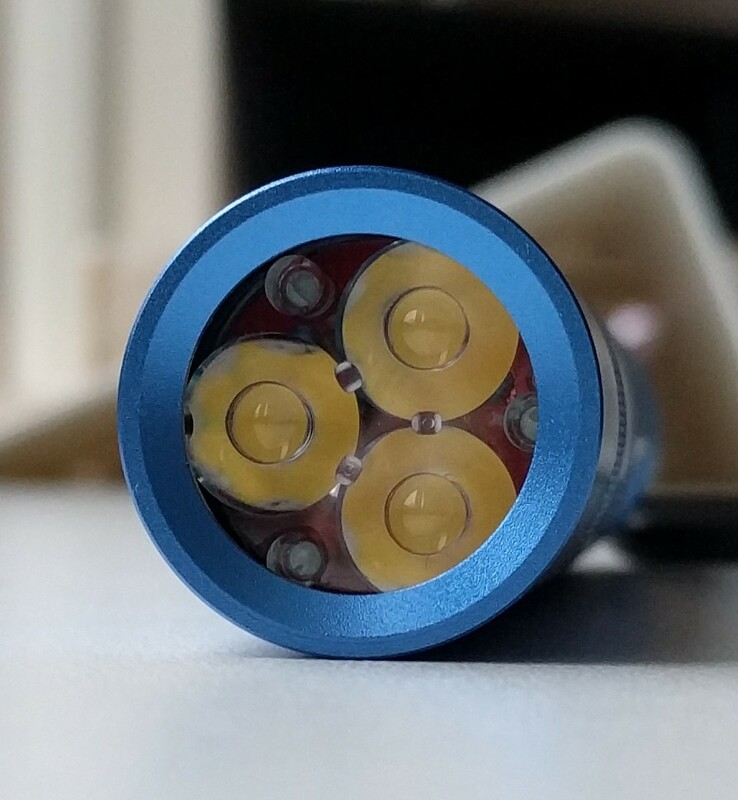 I’ve decided I want to try a Convoy S2+ triple. But there is still a lot more to figure out. I need your input. Note for other NOOBs like me: I was initially confused because some people talk about the S2+ taking a 16mm MCPCB, but others talk about using a 20mm MCPCB in their S2+ builds. 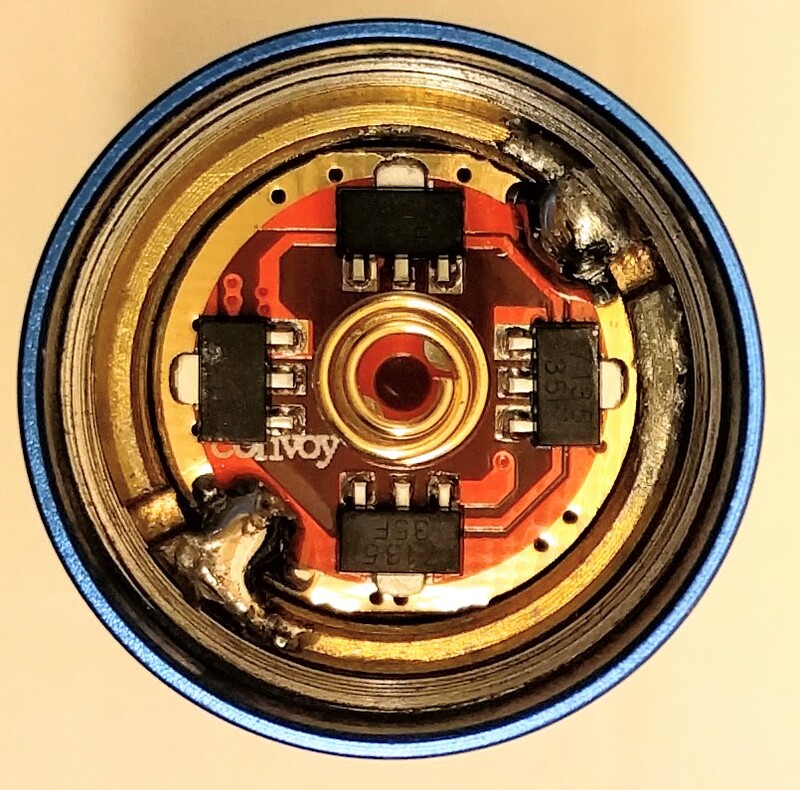 Turns out both are correct – the pill from Convoy has an opening for the MCPCB that is 16.3mm but when using a different pill like Hoop's, or using the stock pill + spacer, you have a 20mm surface. 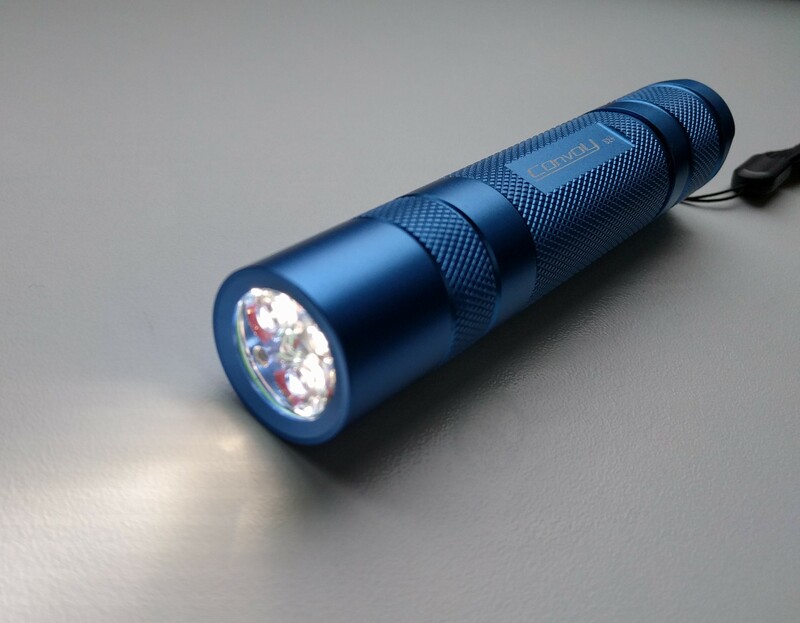 7/2014 - LSX – Convoy S2 Triple Nichia 219B Build - Complete!! 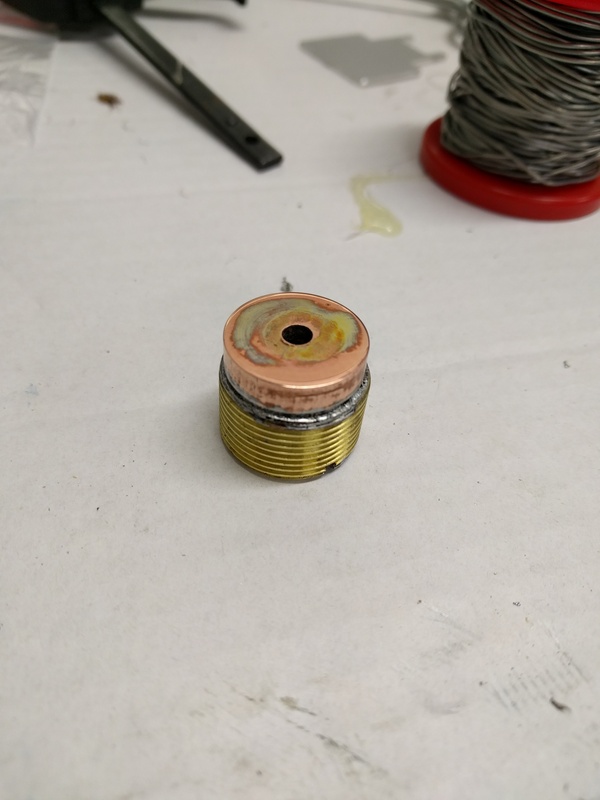 3/2015 - keltex78 - Convenient budget spacer for Triple EDC found... @ Lowe's! I am leaning towards Kaidomain’s “Triple Nichia 219C Neutral White 4000K CRI92 LED Emitter with 20mm x 1mm DTP Copper MCPCB (Parallel) w/ optics” because that ticks off the emitters, MCPCB, and Optics for a very nice price. But ignoring the price, I am also looking for arguments for other options instead of the KD Triple Nichia package. One major question I have is which driver to use? 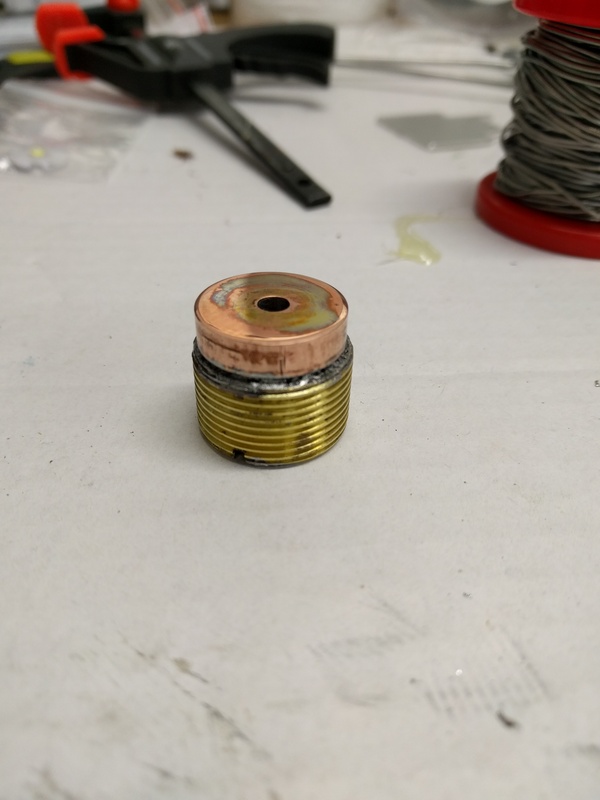 Are there ones that are better for a Nichia triple? Why better? Because they drive more current? Because they shutdown and prevent accidents? Because the software they support? Because you like the color of the board? This is a learning exercise for me. Any suggestions or comments are welcome. Thanks! a thicker Noctigon triple star? an excellent light, I have two. btw this light sends the heat right to your hand. in small does that means liquid cooling, in large doses it means it is noticably uncomfortable to hold for extended run times. dont get me wrong this is a great hiking / actual use light (just not at blf record setting amperages). imho the wide is too wide (and this is from a flood fanatic ) it just diffuses the light to much. my fave is medium (but like i said i like flood and this is too tiny a head to pretend its a thrower. nichia or 4 c/d tint bins are working for me. I found the KD triple quite warm tinted for 4000K. Good idea, because it will reduce losses from the transition from TIR to air to glass, replacing the air with glue. I recently tested this with Kafuter (from Fasttech) between 2 pieces of window glass. Something to consider. But where I’ve looked, it seems the AR coated lens is about the same price as the optics.I may buy multiple optics just so I can play with different ones. I understand the more copper the better, but if I’m soldering the MCPCB to the pill does it really matter if it is the 1.75mm thick Noctigon or the 1.0mm thick KDLIGHT. Yea, I understand some guy is making the TA drivers. I’m very interested. Since this is my first triple, I’ll likely buy one of each optic just to play with the narrow/medium/wide versions. Thanks for the heat warning. I understand and appreciate. Thanks Jerommel. I see KD has both a 4000k and 5700k triple. I may switch to the 5700k. Mention that the KD 5700K variant is a 219B, while the 219C has a lower Vf, which gives you more lumens at a low current, thus less heat. I bought the Bistro driver with 8×7135 which should give approx 2800mA, with the LEDS in parallel that is 930mA per LED. Since the 219C’s have a low Vf they are driven quite efficient and the heat should (I.M.O.) be on an acceptable level. Thank you for the info. I hadn’t considered the Vf difference between the two leds, and the resulting impact on heat. I have more reading to do. But at some point I have to stop reading and start doing. Fortunately with this hobby mistakes aren’t too expensive. Finally got the last parts needed! 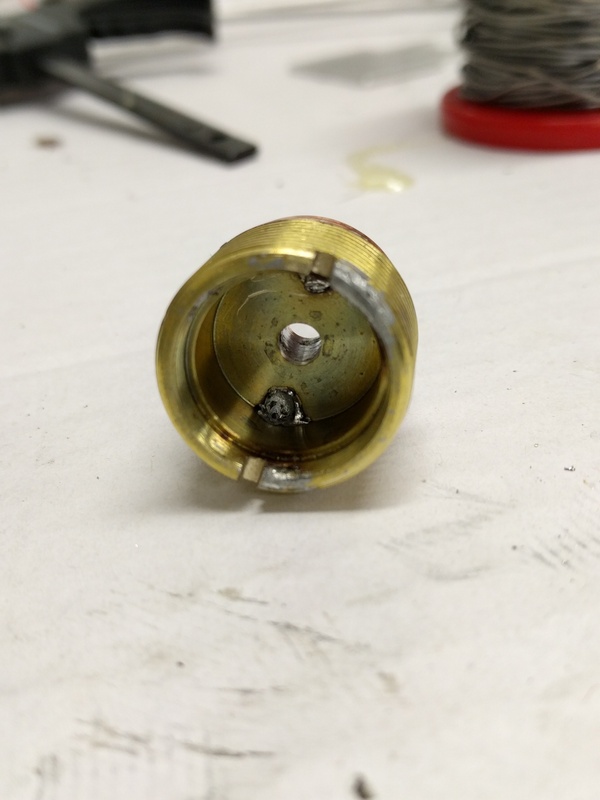 Put an equal thin layer of thermal grease on the pill, dropped in the noctigon​ and put the wires through the hole. Very happy with it, it is quite heavy now. the beam is very nice, as well as the tint and i love the new firmware! The only thing which could be better is when it had the preferred 4500K Nichia 219C high CRI, which is hard to get. I’m still waiting on the mailman. Lower Vf LEDs just shift the extra voltage to the 7135’s to be burned off, it’s not saved somehow. This is what made it hard to run the LD-1/2 with triples. It does mean that you get a bit more run time in regulation though. A buck driver would actually make use of the extra voltage and convert it to usable current lessening the draw on the battery. 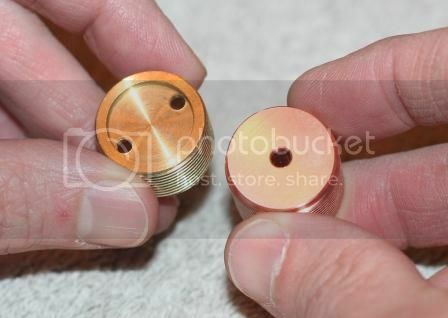 What’s the thickness on the copper spacer? I would say that 6.0mm is more right thickness.